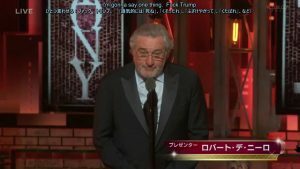 At the 2018 Tony Awards, Robert De Niro said something about someone during his introduction. While on US TV it seems that it was bleeped out, Japan had a direct live feed with simultaneous translators. 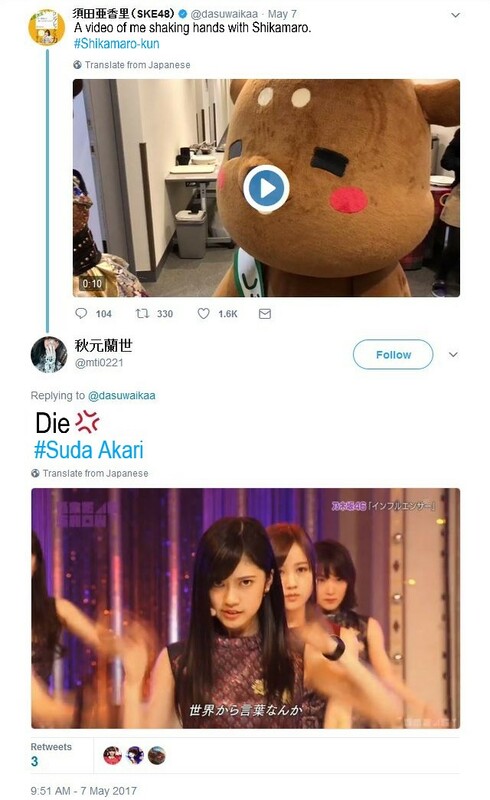 I found some interesting sources (both in Japanese) on pay and television appearances in the Japanese entertainment industry. I don’t know how reliable these sources are, but, well, they’re still interesting. Unfortunately, there’s no clear date for these numbers, but it says “2016” at the bottom of the page. There are a bunch of different categories and in each category are listed some famous people/examples and their estimated yearly earnings/pay per project. In the actors section, there’s Takeda Tetsuya, who has appeared in the Gaki No Tsukai New Years Eve Batsu before and is also very often parodied in Gaki No Tsukai and other comedy shows, at 80 million yen/year. In the actresses section, there’s Yoshitaka Yuriko, who has appeared in the Gaki No Tsukai New Years Eve Batsu before, at 260 million yen/year. In the singers section, some names that have been parodied in Gaki before: Kuwata Keisuke, Yazawa Eikichi, and Mori Shinichi. In the comedians section, there is (limiting mentions to people who are both famous and whom I know have appeared on Gaki before) Matsuko Deluxe (she shouldn’t be in this section. 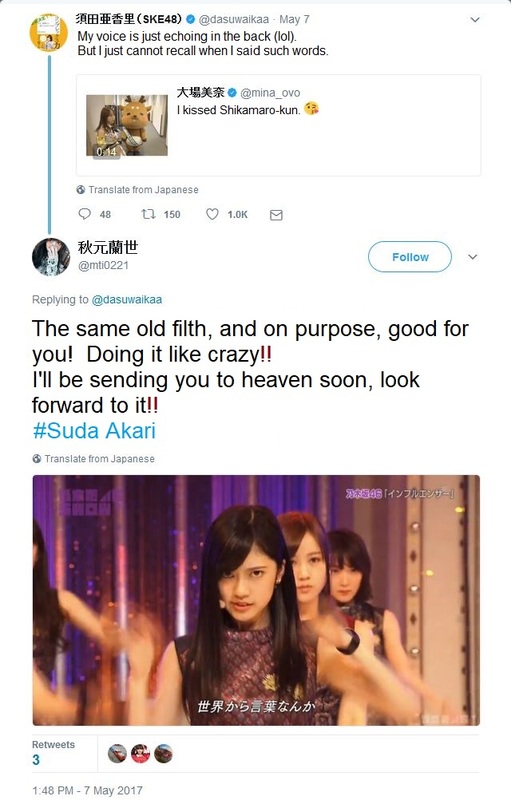 She should probably categorized as a general/non-specific tarento), Hamada Masatoshi and Matsumoto Hitoshi, Miyasako Hiroyuki and Hotohara Toru (Ameagari Kesshitai), Chihara Junior, and Sekine Tsutomu. Some of the highest sports earners are Tanaka Masahiro (MLB), Kuroda Hiroki (MLB; last played in 2014, though, so the list may be from that year or older), Nishikori Kei (tennis), Darvish Yu (MLB), Ishikawa Ryo (golf), Kagawa Shinji (Premier League, Bundesliga), Honda Keisuke (Serie A), and Ichiro (MLB). Creators of the biggest manga are high up there: Oda Eiichiro of One Piece and Toriyama Akira of Dragonball taking in A-list Hollywood/CEO level yearly earnings. Variety TV show pay: the production costs for one hour of a prime time variety show ranges from 20 million to 30 million yen. An A-list MC for such a program (e.g. Downtown) earns 2 million to 3 million yen while major guests go from 300k to 800k yen and medium level comedians from 100k to 300k yen. Drama TV: production costs for prime time dramas cost per hour anywhere from 15 million yen to 70 million yen. NHK Taiga dramas are in a different tier, spending more than 100 million yen per hour. The lead role in a drama (1 season about 4 months) takes in from 1 million to 2 million yen per episode. Work outside of TV/media (for example, entertainment at some event): Medium-level comedian earns between 200k and 500k yen/event, a top model at 500k yen, and an A-list tarento at 1 million yen. 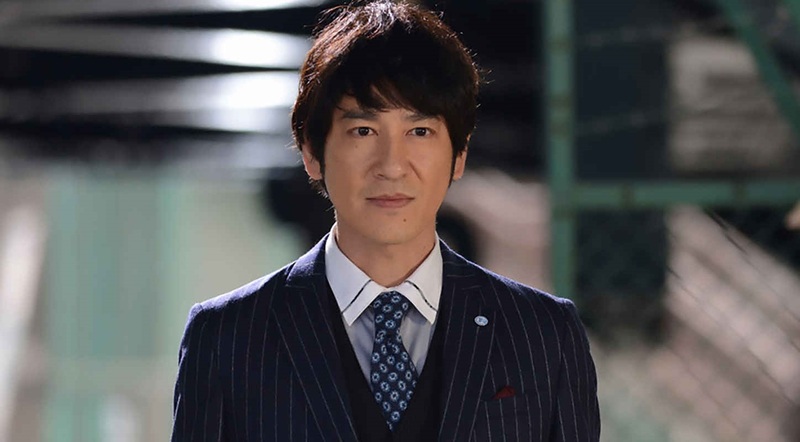 For TV show appearances (I think non-MC, so as a guest), an A-list tarento earns between 1 million to 2 million per episode on the major national networks (half for TV Tokyo, since TV Tokyo is a regional network). Producers at major TV networks earn from 10 million (mid-level) to 20 million yen and above (executive producer) per year, producers at production companies earn about 500k yen per year, and an AD (assistant director) at a production company earns around 180k yen per month. But the most interesting information to me here, at the bottom of the page, is how the revenue of entertainers is split between the entertainer and the talent management agency in which he or she resides. Talent agencies in the Japanese entertainment industry are really powerful and I would say are an oligopoly that sit squarely in the middle of the negotiating table between the entertainers and the places at which they hope entertain (TV, movies, commercials, events, etc.). Here is a ranked list of the most powerful talent agencies, from the same website: http://geinoupro.com/top100.html. (Archived.) At number 3, you see Yoshimoto, Downtown’s talent agency, as well as that of the rest of the Gaki cast (Hosei, Cocorico, even License). A huge majority of (if not practically all) Kansai-based comedians are from Yoshimoto. An entertainer finding any kind of entertainment work on the side without going through their agency is a no-no (probably has that in their contracts). If the MC of a popular TV show is from a certain talent agency that’s powerful, the agency can stuff that show’s guests every episode with their own entertainers. If you notice that the participants/guests at shows hosted by Downtown or Ninety-Nine seem to be over-represented by Yoshimoto comedians, that’s not a coincidence. On the other side of that, if you cross a talent agency, you can get blacklisted. If a powerful agency denies a TV network its stable of comedians or star actors, that’s major trouble for that network’s variety shows and dramas. 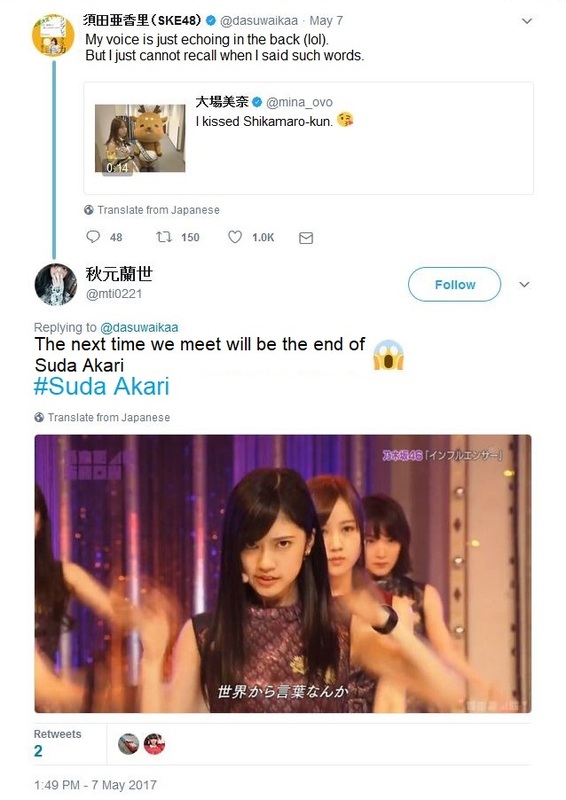 If a powerful agency has good relations (or demands good relations, using its power as a stick) with other agencies and networks, a blacklisted entertainer will have real trouble getting any kind of work (the term for this in Japanese is 干される, “to be dried.” Kinda sounds like the English “hung out to be dried,” but blackballed or blacklisted is the real meaning). The usual ways that can happen to an entertainer is if he angers someone high up or tries to break his contract either to try to move to another agency or go independent (create his own agency). Trying to move to another agency – which one would think should be made easy for entertainers in a capitalist economy – is tricky especially if agencies are on good terms with each other and want to limit turnover and instability in their stable of entertainers. Trying to create your own agency, of course, is just adding a purely new entrant into the market, so you wouldn’t expect other agencies to really like that. Yet, moves to other agencies and creations of new agencies do happen, either because the entertainer is on good terms with their current agency (probably the most important factor) or when it’s a move to a larger/more powerful agency (e.g. a regionally successful tarento moving to national-level media) or when it’s a powerful entertainer creating their own agency. For example, Downtown probably could create their own agency if they really wanted to. Beat Takeshi created his own talent agency. But let’s go back again to how the revenue of entertainers is split between the entertainer himself and the talent agency in which he or she resides, on the bottom of this page. What I noticed (and what you might already have heard if you watch Japanese variety TV and entertainers speak about this subject – it’s not a secret or anything and is openly talked about on TV) is how large a share of an entertainer’s revenue agencies take and how much it varies. Note that this is how revenue from individual appearances (TV, movies, events, etc.) are shared. I believe entertainers get a base salary that’s separate from this. Not found on that page but from Wikipedia is HoriPro (HoriPro is the parent company of HoriPro Com): 0 to 10 (i.e. salary only). HoriPro is actually a major agency (ranked 4th in that list from above) with some big names. I assume that their big names are able to negotiate high salaries for themselves, but yup, the crazy thing is that their entertainers get no revenue from individual appearances, i.e. for each piece of work that they do. Yoshimoto isn’t much different at 1 to 9. The reasoning I believe is that agencies like that will help their entertainers by finding them jobs (or “allot them jobs,” considering how powerful they are) and if they’re successful, negotiating with the networks to give them their own shows. For example, Yoshimoto might negotiate with a TV network to try to get Cocorico their own show. And then you have some agencies that are 9 to 1 or 7 to 3 (Kyaeen is from Asai Kikaku). Perhaps these agencies don’t give as much support to their entertainers? Being a smaller agency might also mean that they just don’t have the power to give that support (nor to attract entertainers if they took too much of the revenue), so they give good rates to their entertainers. Avex is mainly in music, so the situation there might simply be different. Rather than having to deal with an oligopoly of major TV networks (NHK, NTV, TBS, Fuji, Asahi), maybe music sales are more of a meritocracy? As long as you have sales one way or another, your power as a musician rises, so a giant middleman agency guarding the gates to TV media is much less powerful there. Agencies that take up a lot of the revenue may also be able to financially support their middle and lower ranks more. In effect, Yoshimoto might take Downtown’s revenue and financially support its huge number of up-and-coming (or even failing) comedians who aren’t on TV at the moment. In return, Downtown gets in-kind support – basically an army of underlings who can be personal assistants or proteges at any time for them. In a way, in these kinds of talent agencies, perhaps they’ve turned the existence of an entertainer almost into a white collar worker in a large company. Downtown is effectively like a C-level executive of the sales department. Downtown is responsible for the movement of a lot of money into the company but he doesn’t personally take home all of it and instead the money is used by the company to support the rest of the staff below. In return, Downtown has a huge number of subordinates for whatever they might need – from doing their dry cleaning to appearing at the last minute on one of their shows as a guest (which of course doubles as an opportunity for that subordinate to further his career). Here are links to lists of entertainers who had the most television appearances and TV commercial sponsors in recent years. Interestingly, you don’t see Downtown in these. I think because Downtown MCs a lot of shows, they appear in those shows once a week. Perhaps because MCing takes more time in some cases (e.g. for Gaki No Tsukai, Matsumoto thinks up and decides on what segments and series to do), or simply because MCs are paid more, or because MC-level tarentos don’t want to dilute their brand, MC-level tarentos tend to not appear as guests on other shows as much and stick to their own shows. On the other hand are some tarentos who don’t MC as much but appear in a lot of programs as guests. Some entertainers who are perennially at the top of these lists (generally tarentos who both MC and appear as guests on other shows a lot) are Shitara Osamu of Bananaman, Ariyoshi Hiroiki, Okubo Kayoko of Oasiz, and Matsuko Deluxe, who’s also often near the top of the CM lists. Rola for a few years was also near the top in appearances, and continues to be near the top of the CM lists.